Description: LOCATION-LOCATION-LOCATION-Stately Center Hall Colonial Situated on over an Acre of Property Located in a Highly Desirable Neighborhood on the South Side-Convenient to Everything: - Top Rated Schools, Parks, Town, Shopping & NYC Transportation! The open floor plan is a perfect layout for entertaining or comfortable living. 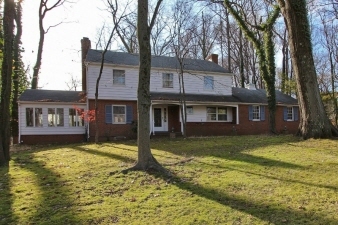 This distinctive home features: a formal living room with wood burning fireplace, formal dining room with chandelier, oversized eat-in kitchen with breakfast area, den/office, 1st floor laundry/ mudroom, 3 season porch with slider to the backyard, 4 bedrooms, 3 full baths, a finished basement with wood burning fireplace, utility & storage room, an attached two car garage, attic for storage and so much more. Home Warranty Included. Please See Tour Attached & Floor Plans.